Words can be powerful weapons, but one little suffix can beat them all. Three letters provide a mighty shield for the user to hide behind. “ish” means neither yes nor no. It admits while admitting nothing. It agrees while reserving the right to disagree. It appears to condemn while allowing a backdoor escape hatch that leads straight to wholehearted approval. This versatility is why it is a favorite screwdriver in a politician’s tool-belt. Add this bad boy to just about any utterance and you’ve got the holy grail of political speechifying: deniability. 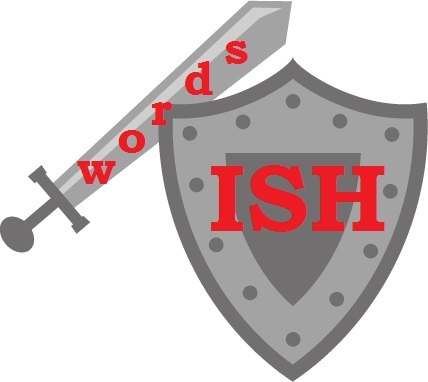 “ish” is the backbone of Euphemish. a: A language, or dialect, featuring the substitution of an agreeable or inoffensive expression for one that may offend or suggest something unpleasant. Origin: from the Greek, euphēmos auspicious, sounding good. As the world’s leading authority on Euphemish, I have done several academic treatises (otherwise known as blog posts) on the topic. You can read more about it here, here, and here. They can’t nail you, if they can’t nail you down. This entry was posted in Euphemish, General Ramblings and tagged humor, language, musings, politics, say what you mean, the reason so many people secretly like Donald Trump even if they don't want him as president. Bookmark the permalink. When did we start getting so squishy? It’s like no one can have a definite viewpoint anymore. Jeez, even “squishy” has ish in it!! The sad fact is that politicians probably can’t get elected if they always say what they really mean. What a great-ish idea-ish! I will immediately-ish make sure-ish that I implement-ish that idea-ish in all of my writing-ish! Although I can see where that would start to wear on one’s nerves after a while, hmmm? Ish was a word when I was growing up. It meant gross. Really? We said “ick”, but never “ish”. Calling something “gross” would be way too specific and judgmental for a politician. I never say ‘ish’ because I feel pretentious doing so. But now that Peg says it’s okay, I’m going for it! Right away-ish. So happy to be your go-to arbiter for all sorts of behaviors. You go, Molly. You know I’d vote for such a plain-talker. Think this is kind of good-ish advice. You can equally use -like for a greater variety. Ah, but so many people (especially kids) say “like” when they mean “ummmm”, it might get confusing. You mean they use the like umm-ish ?… now I am confused. Don’t worry. I am frequently confused and that occurrence doesn’t leave any lingering, bad after-effects. “how to deliver results without delivering results” – love it! Sounds like you have a great future ahead of you in politics. This post is sorta, kinda, maybe, possibly Freshly Pressedish. With such a ringing endorsement, how could it fail? I think I’m going to start using the word “fish” as a PG-rated euphemish for the other four letter f-word. Ha! I like that idea a lotish. I always use “ish” when talking about time. “I’ll be there around noonish” This is because I really have no clue what time it is most of the day, plus I can’t see my watch very well so if I do get there on time it’s really rareish. Reblogged this on Amanda Writes. Yessiree bob! Those 3 little letters most definitely, for sure and without a shadow of a doubt leave the door open for all sorts of wiggle room. Now that you mention it “ish” is kind of brilliantish. I intend to make a point of using it more often. Go for it! Or go-ish. I use “ish” when I feel like speaking Englishish. Don’t scoff. It’s a thingish. No, it would be more subtle…more scoffish, right? There are so many people “dancing a little sidestep” these days, it’s become the norm unfortunately. I’m with you, Darla. I’ll be there about 8’ish. Except, if I’m taking Dad to his 3-day/week job, aka, dialysis. Have to be there by 8am so he gets there in time. Otherwise, I’m all about the 10 minute float of “meet you at 5’ish.” You stole this from me, didn’t you, Peg of my heart? You’re not usually too terribly late, Miss Tar, and we’re supposed to be 5 min late for a social event. Thanks for taking Dad tomorrow. Why does my arm ish? Is there a mosquito in here? I just read all 41 comments and was amazed to see that no one had made mention of Ish Kabibble. That’s because nobody else here is OLD enough to remember that. Is that made from potatoes? You’re thinking of Ish Da Kugel. Is it LaVerne and Shirley-ish? I’m an ish kind of girl – it’s an alternative to adding “or whatever” at the end of a sentence which gives the impression you don’t care; ish still keeps the care in there, ish is more respectable. You’re so right. “Whatever” can sound like there’s an invisible eye roll going on when you say it. Texas politics have always been ‘ish’. Time has always been ‘ish’ for Southern women. Now the entire world is ‘ish’. Ya’ll are catching up. I’m with you on the time, as long as it isn’t longer than about 5 minutes-ish. I’ll “ish” the crap out of things sometimes. I try to tell myself I’m doing it ironically. I’m sure-ish that you are. I made a clock and added ‘ish’ after all of the numbers. It has an hour hand, but I didn’t put a minute hand on it. Real ‘ish’ time. I love this idea ! I may need to steal it.